Earlier this week, US President Donald Trump announced his decision to withdraw from the Iran nuclear deal, describing it as a "horrible, one-sided deal that should have never, ever been made," thus prompting a massive backlash from other signatories to the accord. As many voiced their concerns over Donald Trump’s move, President of the European Commission Jean-Claude Juncker did not remain on the sidelines either, slamming Washington for "no longer" willing to "cooperate with other parts of the world." "At this point, we have to replace the United States, which as an international actor has lost vigor, and because of it, in the long term, influence," the EU chief said, suggesting that Europe should take over the US’ role as global leader. 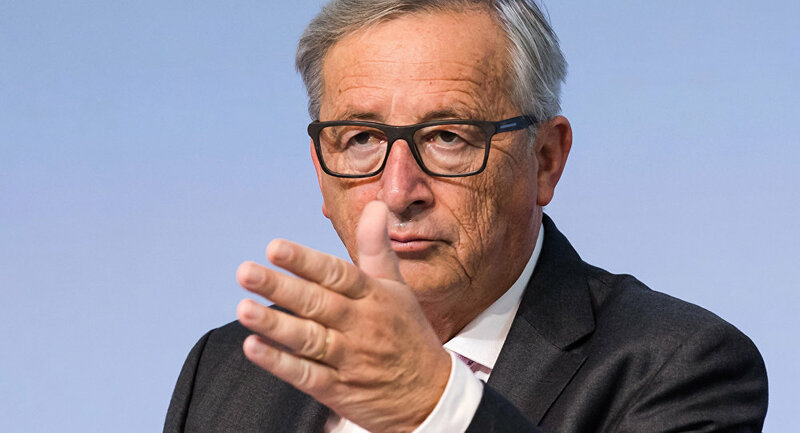 Juncker’s remarks came as the US President announced that he was pulling Washington out of the Joint Comprehensive Plan of Action (JCPOA), also known as the Iran nuclear deal. POTUS was quick to order to reinstate all nuclear-related sanctions on Tehran, previously waived under the agreement. "Treasury's Office of Foreign Assets Control (OFAC) is taking immediate action to implement the President’s decision. Sanctions will be reimposed subject to certain 90 day and 180-day wind-down periods. At the conclusion of the wind-down periods, the applicable sanctions will come back into full effect," the US Treasury Department said in a press release. On July 14, 2015, the European Union and the P5+1 group of countries — China, Germany, France, Russia, the United Kingdom and the United States — signed the JCPOA. The accord stipulated a gradual lifting of anti-Iranian sanctions in exchange for the Islamic Republic halting its nuclear program and allowing inspections to ensure that the nature of the program is peaceful. Meanwhile, High Representative of the EU for Foreign Affairs and Security Policy Federica Mogherini stressed that the bloc reserved the right to act in its security interests, calling on the international community to preserve the JCPOA. "Let me say, I am particularly worried by the announcements tonight of new sanctions… The European Union is determined to preserve it [the Iran nuclear deal]. We expect the rest of the international community to continue to do its part to guarantee that it continues to be implemented," she said. Reacting to the US decision, Russian Foreign Minister Sergei Lavrov emphasized that Moscow would remain committed to the deal, as Iranian President Hassan Rouhani also said that Tehran was not going to leave the JCPOA and that the agreement remained in effect between Iran and the five remaining participants of the deal.